I posted here about some beautiful glass and acacia wood storage jars that I've been salivating over, and stumbled upon the look for less while exploring this weekend. 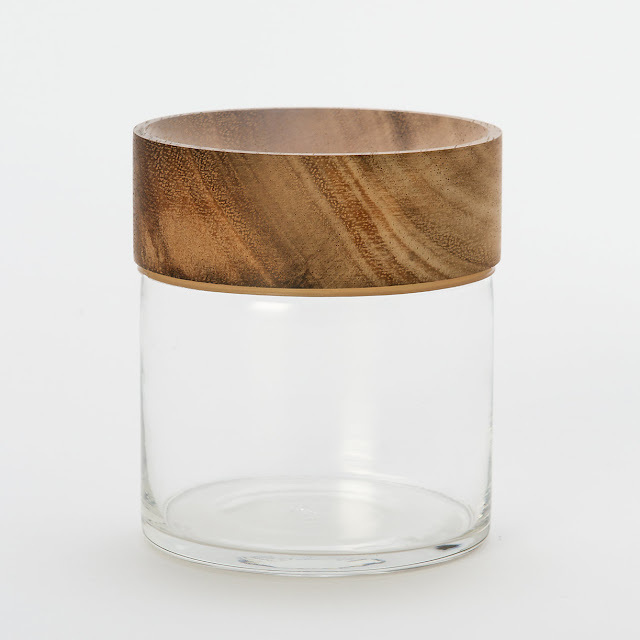 Make it with this Terrain Teakwood Boaster Jar for $28. Terrain also has a larger size for $32.